As one of best-selling Sony phones, Xperia Z3 won a lot of positive feedbacks from end users. For most people who owned an Android phone, the first thing to do after setup is to root the device to gain more freedom with it. Android is an open source project that everyone has the right to modify the system according to his own needs. However, Sony locked root access on Xperia Z3 in order to prevent users from modification. This makes the user experience a bit worse as there are useless built-in apps, which can’t be deleted without root privilege. The truth is that this can’t stop us doing this. When you do a search on Google, there are a lot of options for rooting Xperia Z3. I have checked a few ones and found out most of them are too hard to follow for most of the users. You need a strong background in computer to successfully root your device because it involves in command lines technology. Or you had a very high chance to make the device bricked. So in here, I am going to introduce a quite easy way (using AnyRooter Android Root) to help your root Xperia Z3. There is no much difficult, as it only needs a few mouse clicks. 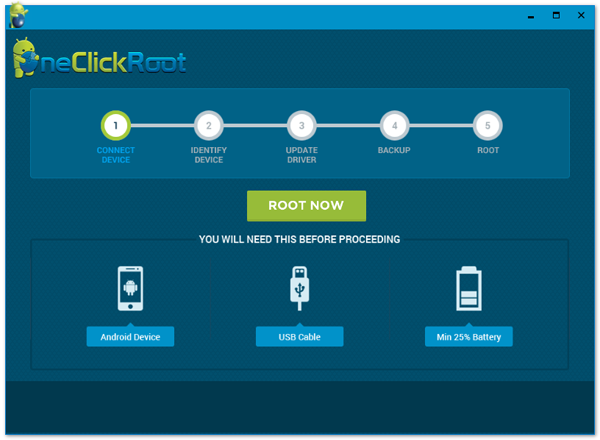 Root Sony Android phone with one-click. Support Android version from Andorid 2.0 to Android6.0 . Work on both Windows PC and Mac OS X . 24/7 Live support, 100% safe with any risk. It’s always a good practice to back up your phone regularly as there are many chances to lose your phone data. Sony has an official tutorial on how to back up and restore content from Xperia Z3, please check it here. If you already unlocked this option, then pass this step and go to the next one. Or you need to enable developer options first before going to any further. Open your Settings menu and select About. Then tap 3 times on Build Number to unlock the developer options on Xperia Z3. Go back to your settings main menu and select the new Developer Options option. Then enable USB debugging. Plug Xperia Z3 to the computer with AnyRooter installed. AnyRooter will detect your phone when the computer recognizes the device. If not, then you should download and install Sony USB driver to that computer. 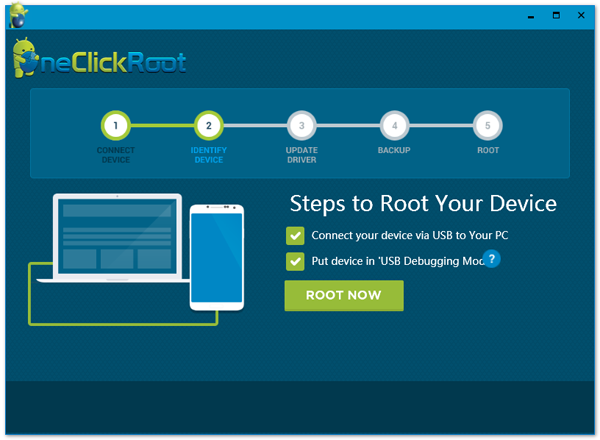 AnyRooter needs your phone being connected to a computer before rooting. So you should plug your phone to the computer in order to proceed to next step. When all the preparations are done, Click Root Now button on the screen. Then AnyRooter starts to analyze your phone, such as detecting the models, Android version, etc. The rooting process is quite simple and will be done in a few minutes. A successful message will be displayed when it’s done. The whole rooting process is done in background as you can see from the tutorial. As far as I know, this is the most user-friendly rooting app. There is no much work involved such as type commands, download files. Everyone can root Xperia Z3 at his/own peace and there is absolutely no need to seek help online or from friends. And that’s true reason I highly recommend this program. With this great rooting app, you can root all kinds of android phones.